The Griffith Observatory is one of L.A.’s greatest cultural attractions, offering spectacular views from the Pacific Ocean to Downtown L.A. from its perch on Mt. Hollywood in Griffith Park. The observatory and accompanying exhibits were opened to the public on May 14, 1935. In its first five days of operation, the observatory welcomed more than 13,000 visitors. 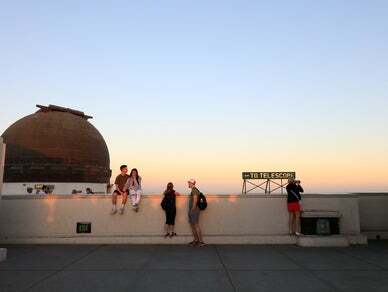 Today, the Griffith Observatory is renowned as a national leader in public astronomy, and a beloved gathering place for visitors and Angelenos alike.